I’m back in Vancouver for a week and my friends, it is cold here! I think my body has permanently acclimatized to the warm weather of Southern California. I’m not complaining though. Cold weather is the perfect excuse for extra cuddles, heart-warming stews and spiced apple cider. Not that one needs excuses for those things. 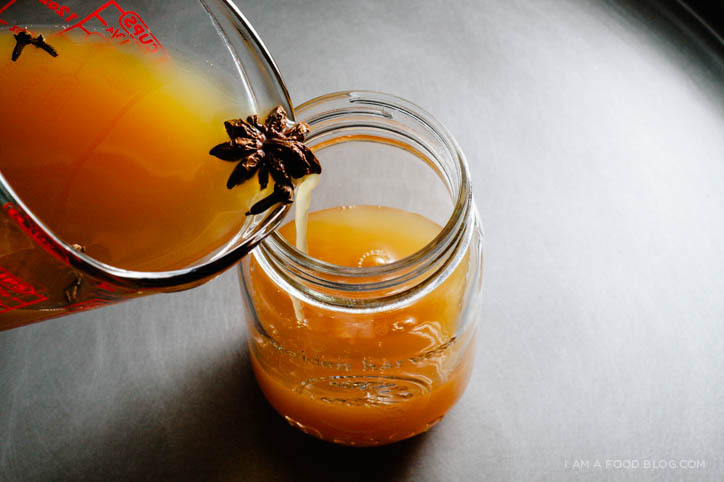 Excuses aside, I’ve been sipping on many a cup of spiced apple cider. I guess if you’re not a warm apple cider person warm apple juice sounds a little strange, but trust me, it’s so good. Plus, apple cider is nothing like apple juice. 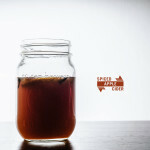 It’s unfiltered, unsweetened and just a touch tangier. It’s kind of like apple juice’s older, cooler cousin. I know it’s only mid-November, but Christmas-y spices like cinnamon and cloves in my apple cider totally get me into the Christmas spirit. Speaking of cinnamon, doesn’t cinnamon just smell like Christmas to you? Whenever I walk by those cinnamon brooms at Trader Joe’s, I just want to stop and sniff. 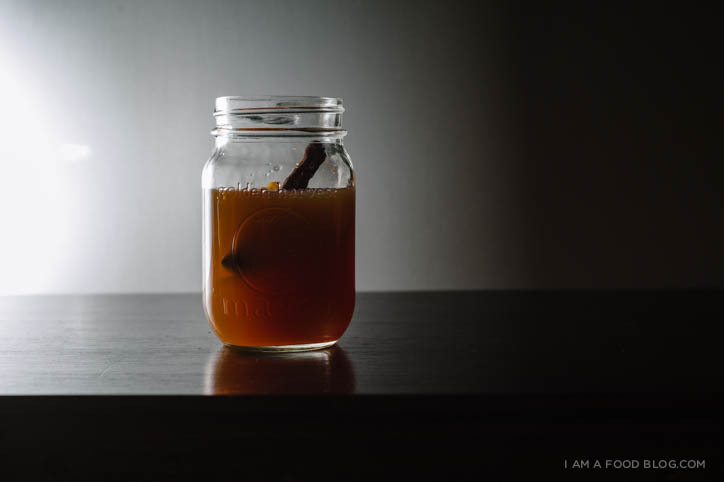 And, if you’re not into Christmas or apple cider, just throw some bourbon in, because bourbon makes everything taste better. 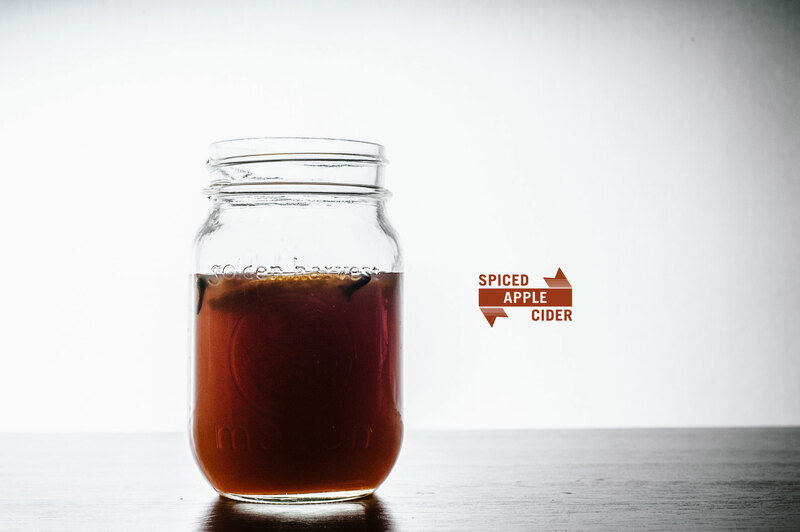 Really though, apple cider and bourbon are definitely a go. Even Mike thought it was quaffable and he generally only likes his bourbon in old fashioneds. 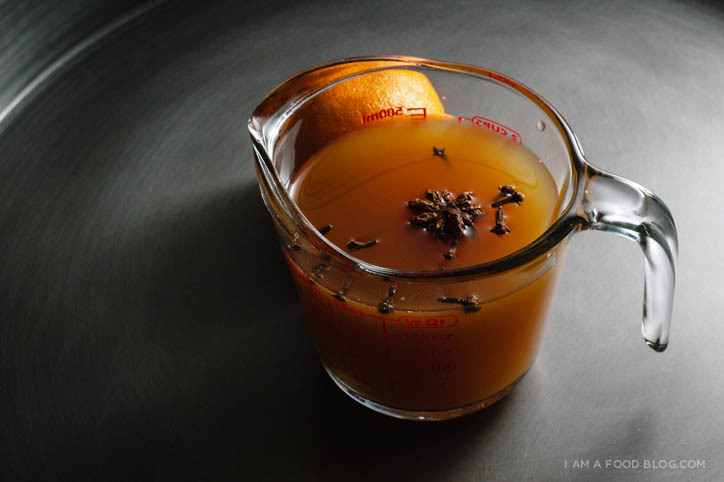 Heat up the cider, cinnamon stick, anise pod and cloves in a saucepan over medium heat. Enjoy warm with orange slices. If you’re indulging, add bourbon to taste. Oh man, hot apple cider is the best! 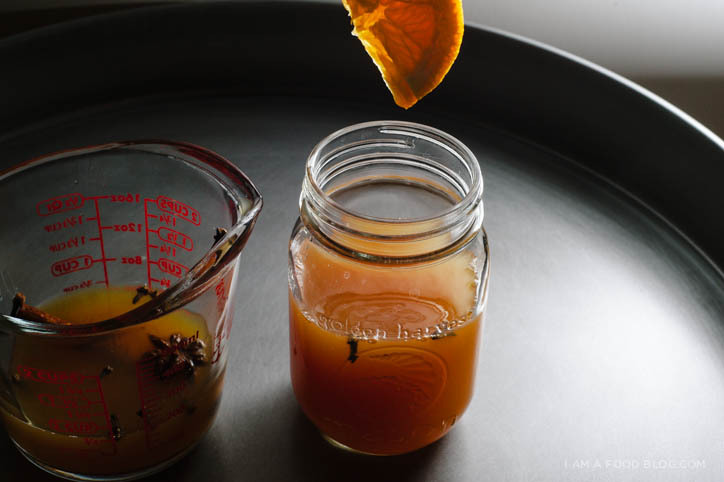 I usually just drink mine plain, but mulled cider with spices sounds like an even better idea. Hooray! Sounds really good, however, our apple cider is basically the british or french kind. 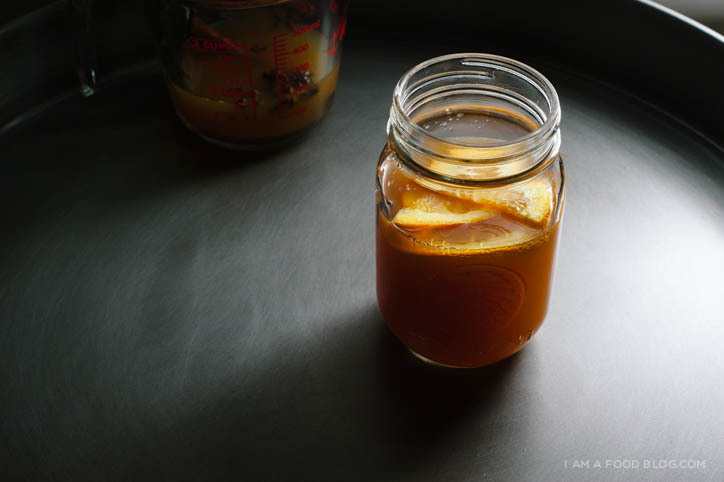 Is the apple cider you are using basically an unfiltered apple juice? Is it (very) sweet or sour? Hum, read the text one more time :) Your saying it’s unsweetened so not so sweet, sorry for that. is it hard cider? I mean in europe cider is an alcoholic drink. This recipe looks awesomely simple! It’s perfect for what I want to bring as a last-minute contribution to a party. Thanks! wow! that is a very different type of drink…. never seen it before, it looks really nice!